US President Donald Trump’s tough stance on immigration could be putting off international students taking up university courses and also be affecting business travel. The ban on visas for people from certain countries is being challenged in the courts but remains in place while the legal process takes place and higher education institutions are fearful that is it having an adverse effect on applications. An analysis by media company Inside Higher Education of US Department of State data on visas shows a substantial drop both in the number of students and business application, including those attending academic conferences from countries directly affected by the various travel bans. Stephen Yale-Loehr, a professor of immigration law practice at Cornell University, said this was higher than he would have anticipated. ‘Even if the numbers are small, the percentage change is very significant, and it shows that the State Department is implementing the travel ban more aggressively than many people may have thought,’ he pointed out. Although the travel ban itself affects relatively few countries, many in higher education are concerned that a perception among prospective international students that the US is unwelcoming or unsafe and uncertainty about visa policies are among the factors that have contributed to a drop in international enrolments at universities, the first such drop in many years. Figures from the National Science Foundation show there was a 2.2% fall in international undergraduate enrollment and a 5.5% fall in international graduate enrollment at American colleges and universities in 2017 compared to 2016. Another survey from the Council of Graduate Schools shows there was a 1% fall in first time international graduate enrollment, including a 16% decline in the number of new students from Iran. Higher education has been largely united in its opposition to the travel bans, which university leaders and associations have characterized as harmful to free exchange and scholarly collaboration. 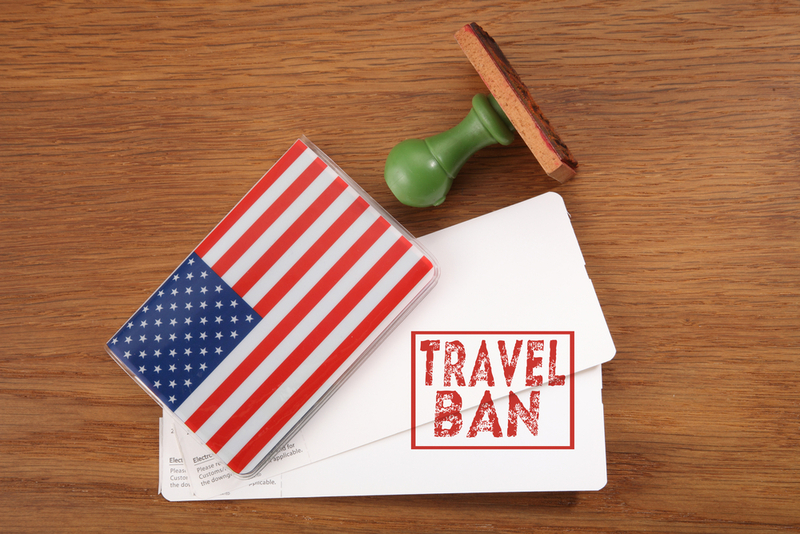 According to the American Association for the Advancement of Science, the visa ban is also affecting participation in conferences and academic events. ‘If indeed science is to benefit people, economically, culturally, personally, and if you want the research enterprise to thrive, you have to pay attention to the basic principles of the free exchange of ideas and the free exchange of people and the ability to collaborate,’ said Rush Holt, the association’s chief executive officer. He pointed out that different scientific organizations are reporting different degrees of impact on their meetings. It means that award winner cannot attend meetings, and that attendees are concerned about being overly questioned and detained at airports when they arrive so don’t bother. The Middle East Studies Association, which is involved in the legal challenges, has said that registrations are down by 400 and membership has fallen too. ‘Certainly there are many factors in determining membership levels and meeting registrations, but it is clear that the administration’s hostility toward Muslims had an impact across the board,’ said Mark Lowder, assistant director. Beth Baron, professor at the Graduate Centre at the University of New York, said the problem is compounded by the fact that it is not just people from the banned countries that are not travelling, but those from the Middle East in general who have reported difficulties getting a visa for a short term business trip.